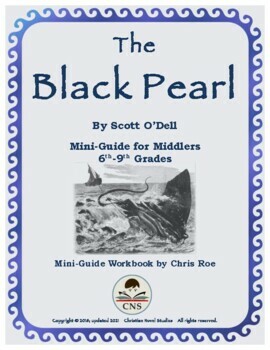 This is a two-week literature guide for the book titled The Black Pearl, by Scott O'Dell. In this book, young Ramon Salazar finds an amazingly large and lustrous black pearl -- and then an unexpected event occurs. The mini-guide contains ten sections that include vocabulary exercises, discussion questions, reading activities, life application/Bible connections, and an Answer Key. 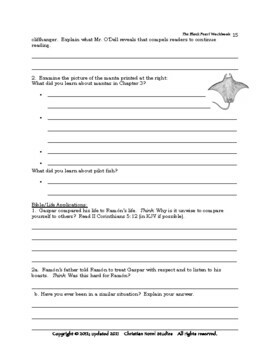 In this workbook version of the guide there is space for students to write all of the answers. 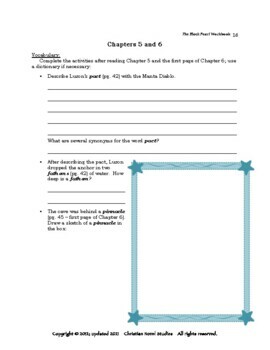 The content of the guide in workbook format and in interactive format is the same; the only difference is spacing. 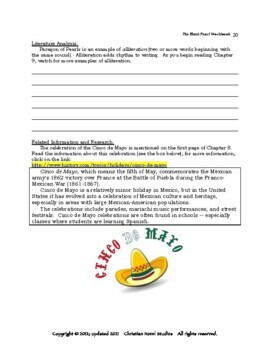 Although this is classified as a Mini-Guide for Middlers, but it is able to be used with high school students too. Mini-guides are used in home schools, co-ops, and traditional schools. Click on the link to browse through all of the Mini-Guides for Middlers.